Making decisions is an integral part of achieving business success. Efficient decision-making is only possible when you have the knowledge and evidence to back your organizational strategies. A valuable medium in this regard, is the internet. To gain a comprehensive insight into relevant information, you need to utilize web data extraction services. Web data extraction can take place manually or in an automated way. While manual processes can take more time and effort, they are also less cost-effective in the long run. An automated extraction process, by contrast, results in optimized web data collection in structured formats like Excel, SQL script, etc. 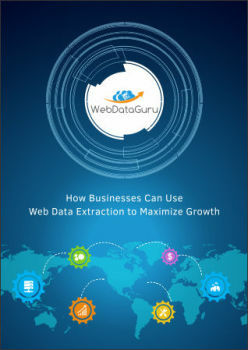 The white paper provides inside various aspects of Automated web data extraction which helps to drive business growth. Competition can deal a significant blow to the best businesses, if they do not have an awareness of the latest market trends. This is why utilizing competitive intelligence along with web data extraction can optimize organizational decision-making in line with high-end research and analysis. Web data extraction provides the edge in terms of assessing data collected from various online sources, including competitors’ websites. Competitive intelligence on the other hand, allows your business to be armed with the strength and weaknesses of competitors. For instance, you can base future pricing decisions on the current numbers of competing brands and maximize your product positioning. The white paper provides inside various aspects of Competitive Intelligence. Price wars are a common occurrence with all retailers having access to this information. 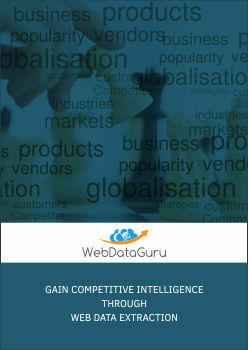 Pricing intelligence compiles real-time competitive intelligence and a wide range of data (i.e. from online transactions, retailers and third parties) to provide accurate recommendations to businesses for maintaining that competitive edge. The pricing intelligence process consists of data collection, bifurcation, analysis and action. Using pricing intelligence in a strategic manner, can increase the overall performance of your business. For instance, if there is a particular product that your business is not selling but competitors are, you can gauge the profitability of adding that product to your portfolio based on pricing intelligence data. 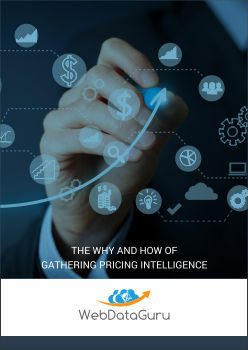 The white paper provides inside various aspects of Pricing Intelligence.